• It is in line with the developing trend of chain store "Distributive business, Concentrative management". Data will be transferred instantly, wherever the consumption occurs. 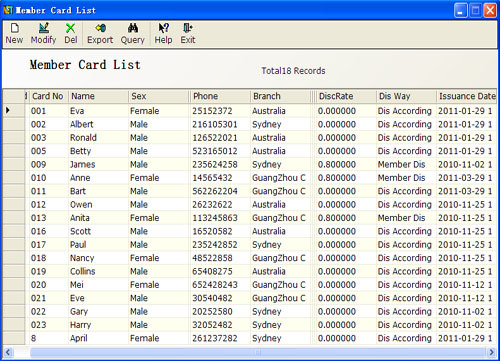 • We provide membership cards with discount and integral function, and also provide store value card. Preference and integral ways can be setting according to the users’ actual needs. It’s easy and flexible. 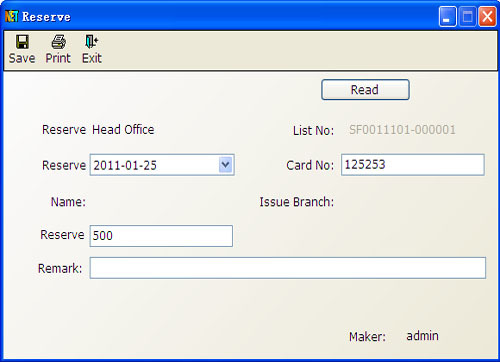 • Member records can be typed by the headquarter or by the branches. The membership cards can be used in any chain store any time. • Authority setting: customizing authority according to users’ post. 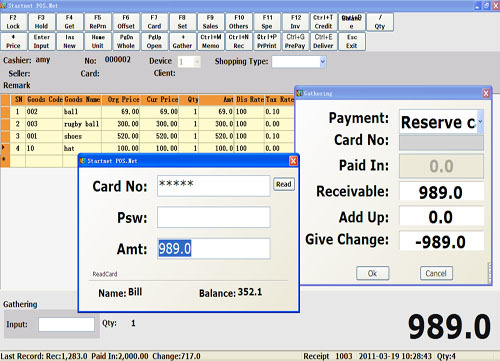 • E-commerce application: clients can access the site to inquire Member consumption by using their card code. • It supports group messages and group emails. 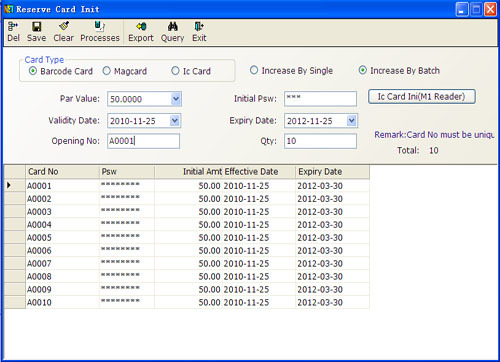 • Membership card management on integrated operation, including initiation, report, integral maintenance, and cancel. 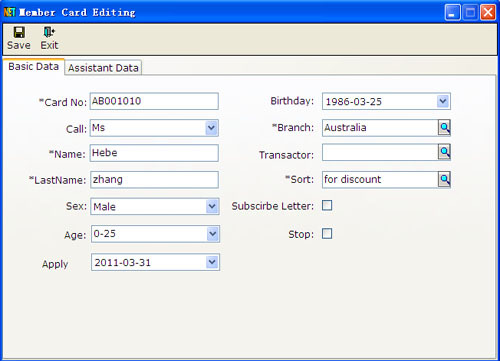 • Barcode card, magnetic card, IC card and the reader devices such as M1 and MingHua are supported. 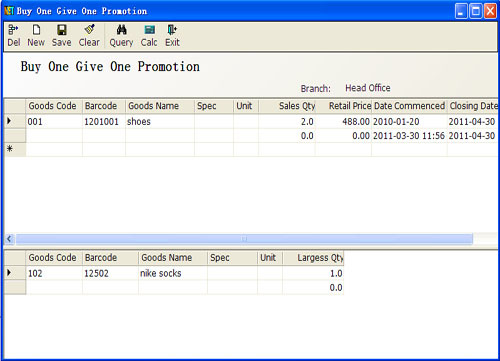 • Powerful Report and Statistics function make member consumption of each store clear. 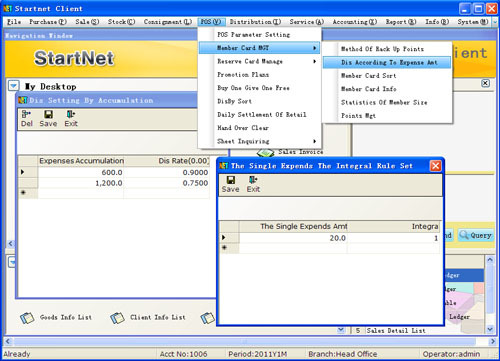 • Parameter setting of the basic information including department, goods information, supplier, client, staff, warehouse and so on. • System maintenance, automatic backups, Client identification and shutting off remote server. • Instant Communications between operators is available. It can save a lot of communication fees for enterprise. 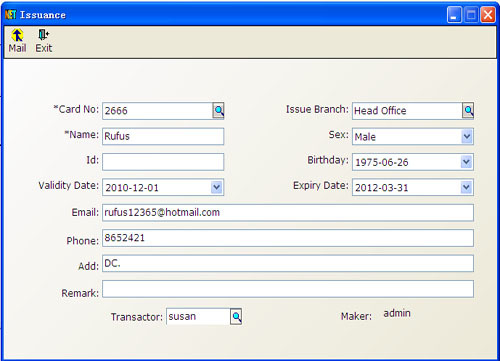 • Multi-account management is supported. • Auto-backup setting is supported for server. It is prepared for unexpected corrupted. • It provides Multi-security for data to prevent the intrusions from unauthorized users or unauthorized Client machine. • Import /Export member information is supported.